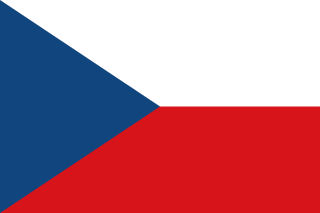 The Czechoslovak First League was the premier football league in the Czechoslovakia from 1925 to 1993, with the exception of World War II. Czechoslovakia was occupied by German forces who formed Gauliga Sudetenland and Gauliga Böhmen und Mähren leagues on occupied territories. Until 1934-35 season no teams from Slovakia participated in the league. Statistics of Czechoslovak First League in the 1977–78 season. The Czechoslovak Player of the Year award was an annual prize given to the best Czechoslovak football player by the Czechoslovak Football Association since 1965. Award for coach of the year was also awarded since 1985. Jan Polák is a retired Czech international footballer who played as a midfielder recently for FC Zbrojovka Brno in the Czech First League. Karol Dobiaš is a former Slovak football player and coach. During his career, he was a versatile player, mostly playing as defender or midfielder. Karel Brückner is a Czech retired football coach. Karel Kolský was a Czech football player and later a football manager. He played for Czechoslovakia, for which he played 13 matches. Daniel "Dani" Chigou is a Cameroonian former professional footballer who played as a striker. In a journeyman career, he played for numerous clubs in Italy, Romania, Hungary, the Czech Republic and Russia. He has been compared to fellow Cameroonian striker Samuel Eto'o. Karel Kroupa is a Czech football player, who currently plays for 1. SK Prostějov. Josef Pešice was a Czech football player and manager. Petr Švancara is a former Czech football player who last played for Zbrojovka Brno. Luděk Zelenka is a former Czech football player. Pavel Mezlík is a Czech football player, currently playing for FC Zbrojovka Brno. Karel Jarůšek is a Czech football manager and former player. Jan Maroši is a Czech former football player. He made two international appearances for the Czechoslovakia national football team and is also known for having scored directly from a corner for Sigma Olomouc in a 1992–93 UEFA Cup match against Juventus. He made a total of 366 top flight appearances spanning the end of the Czechoslovak First League and the beginning of the Gambrinus liga, scoring 67 goals. In 2006 Maroši was ranked 15th on the list of players with most appearances in the Czech and/or Czechoslovak top flight since the Czechoslovak First League began in 1925. Daniel Přerovský is a professional Czech football player currently playing for MFK Vyškov. He made 30 league appearances and scored one goal for FC Zbrojovka Brno over the course of three seasons. After not making a single appearance for the team in the 2014–15 Czech First League season, he moved to SK Líšeň in the Moravian–Silesian Football League, the third tier of Czech football. Mohamed Traoré is a Guinean footballer who currently plays as a winger for FK Blansko on loan from FC Zbrojovka Brno. Roman Kukleta was a Czech footballer who played as a forward. He won three Czechoslovak First League titles with Sparta Prague between 1988 and 1991, during which time he also finished as top scorer of the First League. Other clubs he played for include Zbrojovka Brno, RH Cheb and Real Betis. Kukleta represented Czechoslovakia internationally, winning four caps, all in 1991. Ladislav Krejčí is a Czech footballer who currently plays as a midfielder for FC Zbrojovka Brno. Martin Zikl is a Czech footballer who currently plays as a forward for FC Zbrojovka Brno. Dan Jambor is a Czech footballer who currently plays as a midfielder for SK Líšeň on loan from FC Zbrojovka Brno.